Seattle has had unusually good stint of sunny weather. To take advantage of the sun, my family and I wanted to get outdoors and do a fun activity together. Instead of going to a farmers market or to a park we decided that it would be fun to go to a u-pick farm and get some berries. 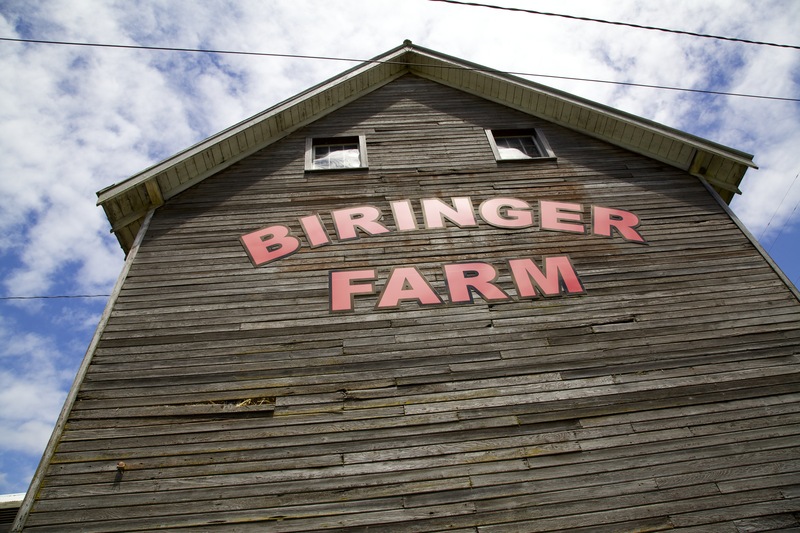 After a little bit of research we decided on Biringer Farm about 45 minutes north of Seattle in Arlington, Wa. The trip was quick and parking was easy. There is no entry fee and its fun to walk around the farm. Along side the barn is a playground with a slide , huge black drainage tube (4′ diameter), and an antique tractor – great for kids. Once you are ready to pick berries you can grab a basket and head into the fields. Depending on the types of berries you are after you may need to take a tracker ride to get to the field. We decided to check out the strawberries first even though they were at the end of the season and fairly over picked. After painstaking work of collecting just a few strawberries we decided to ride back to the farm and head out to the raspberry fields. It was a good choice. There were tons of raspberries. In just under an hour we were able to each pick a flat. I highly recomend Biringer to anyone who wants to do u-pick. The only advice is that you should call ahead to make sure the berries you are after are in season and not over picked.